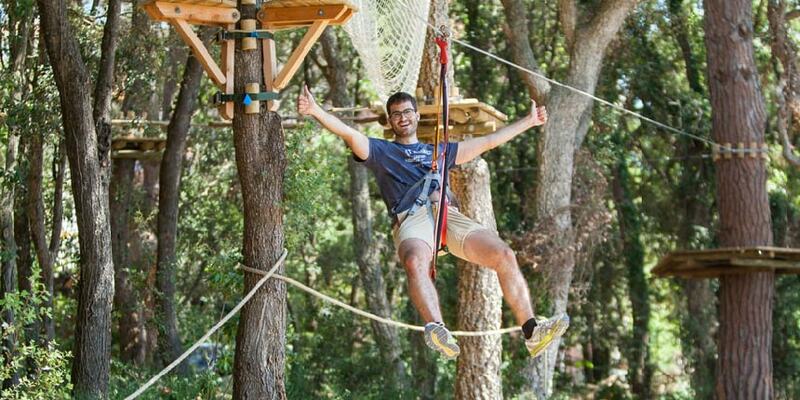 Costa Brava Adventure Park in Pals (Girona) is an adventure park located in the heart of the Costa Brava, with more than 110 adventure activities suspended in the trees to enjoy a multi-adventure experience with your family and friends. What can I do in Pals Adventure Park? We have a wide variety of adventure activities for all ages: zip lines, vacuum jumps, lianas, footbridges, skate, slackline, bridges, tunnels, Tarzan jumps, abutments, swings, etc. At Parc Aventura Pals we believe that shared adventure is enjoyed much more. We offer you multiple experiences and activities to enjoy with your children, friends or family. Let the adventure begin! 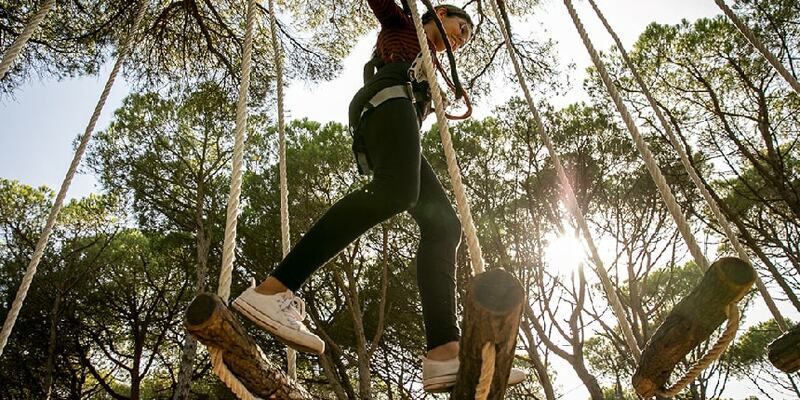 In the park you will find all kinds of activities in our 9 adventure circuits, where you will put your skills to the test and enjoy a very exciting experience. 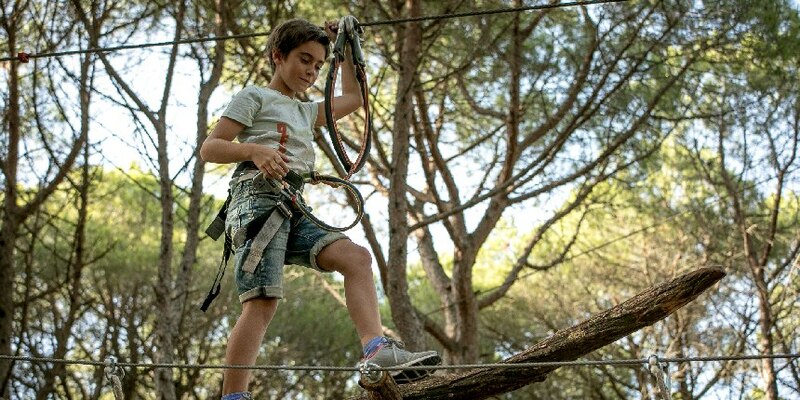 Costa Brava Park Adventure in Pals is the ideal place to live a multi-adventure day with children, friends, colleagues and family.